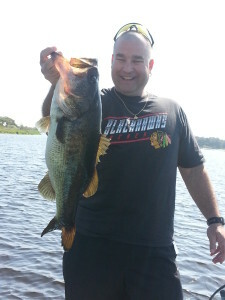 trophy bass Archives - Lake Toho Guides - The Ultimate Orlando Fishing Experience. I wanted to thank you for a great fishing trip this past Sunday. We are finally drying out but still are on cloud 9 from the fishing trip we took with you last Sunday. That is all we talked about for the rest of our trip. Chad and I want you to know how much we appreciated the extra effort you gave to get us to the lake and on the fish. I will admit the weather conditions weren’t good for the guys in the boat but they certainly were good for catching fish. I hope you realize you have now ruined our fishing here in Ohio. I certainly will be recommending you and Bass Online in the future and Chad and I are already trying to figure out how to get back down for another trip with you. 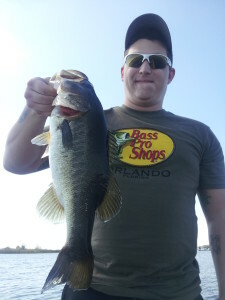 This is a quick video of Bass Fishing in Florida. 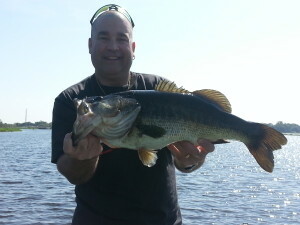 Tom Martin was on the boat with me for the day for some bass fishing action on Lake Jackson which is part of the Kissimmee Chain of Lakes and is located just south of Saint Cloud Florida. 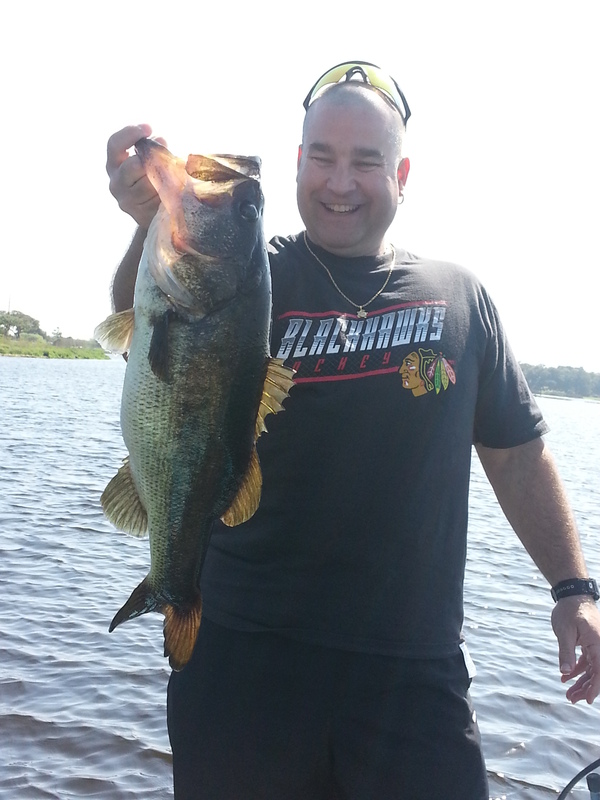 This body of water is in the Three Lakes Wildlife Management Area and has probably some of the best bass fishing action going on right now in Central Florida. We had mixed the day up some using live wild shiners as well as some artificial lures to catch our bass for the day. 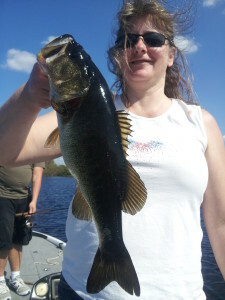 The live wild shiners were doing great as they boated over 20 bass for us in under six hours of bass fishing. Artificial lures we were using were wacky rigged senko type baits, zoom brush hogs and spinner baits. Main areas of focus for us was Kissimmee Grass and areas with a mix of Lily pads and hydrilla. These are areas that seem to always produce bass for us out here, and with this body of water being strictly catch and release with largemouth bass the fishing is always great out here. For the most part, the bass out here will run in the two to five pound range and are very good fighters. Not the typical bass, which while fighting will go for that heart stopping jump, these bass tend to go deep, or as deep as possible in four foot of water and pull a lot of drag. Good numbers and good size make for a complete bass fishing day out here, and yes, there are the fair share of trophy bass out here as well, ranging from 7 to ten pounds. Lake Jackson is definitely a must try lake here in Florida, its just an often overlooked body of water.